Uglyworld #261 - Maybe I Could Work In IKEA, originally uploaded by www.bazpics.com. 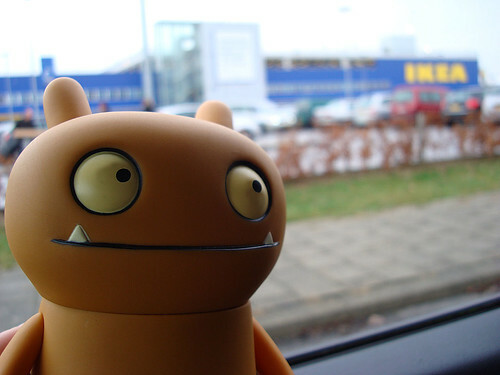 Wage asked us if we could go visit IKEA in Heerlen as he had filled in a job application to work there. When he walked up to the customer service desk and handed the form over that he had filled in (including his Phd in Uglyness at Notsonice University) the girl looked a little bit sad. Wage asked what was wrong and she replied "You're sooooo cuuuute and I would love you to work here with us, but we have no jobs open at the moment, maybe try again in a month or so" and gave him a big hug (he seems to have that effect on women).